It’s finally here- the end of the year- are you happy or sad to see the end of it? I’m a bit of both, I’ve really enjoyed the last 52 weeks but am so excited to see what the next 52 will bring. For me, the future is always something to look forward to, but looking back can be just as fun. The Schaefer family made some great memories, especially towards the end of 2017. 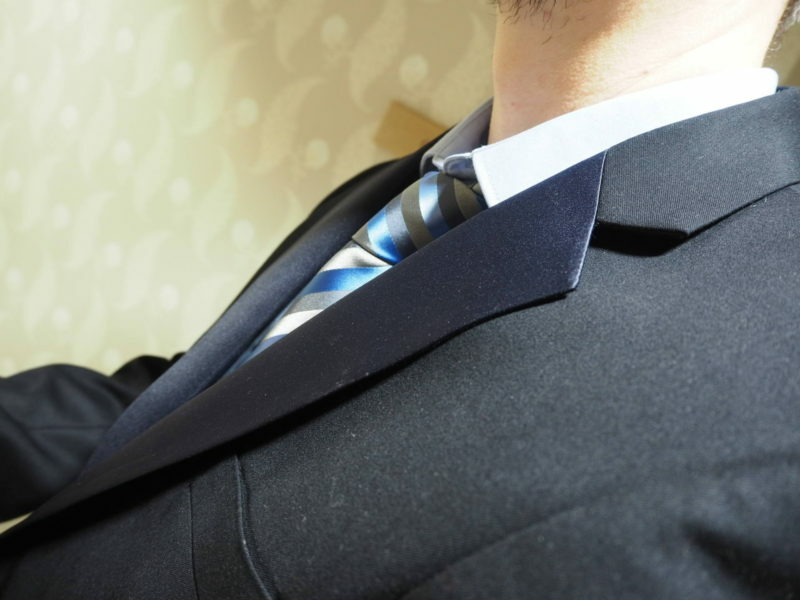 Here are some of our incredible moments featuring Dobell menswear. 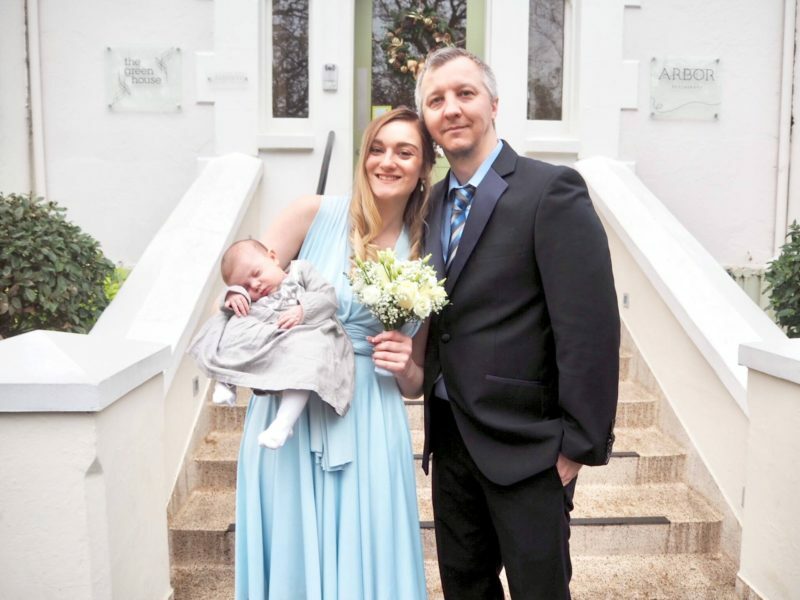 In December, we took Alice to her first wedding in Bournemouth. 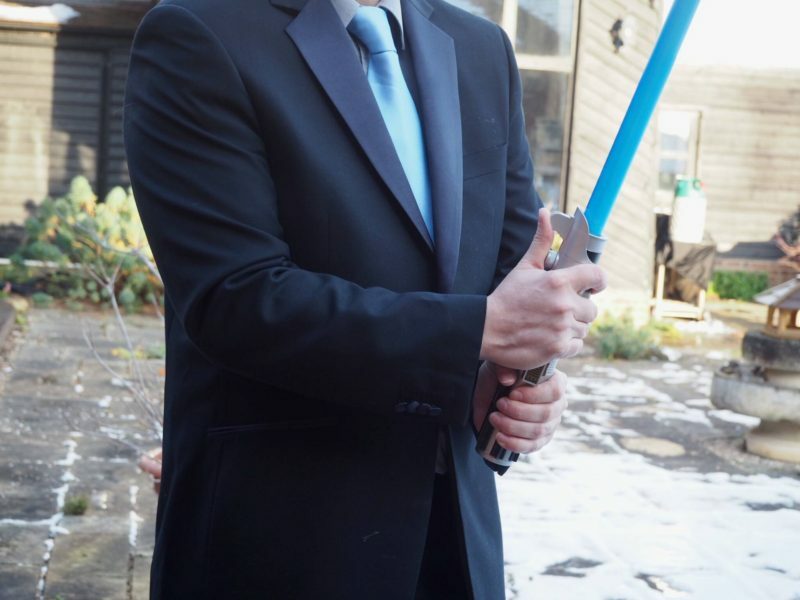 Paul is sporting a rather gorgeous navy tuxedo set from the online retailer Dobell. 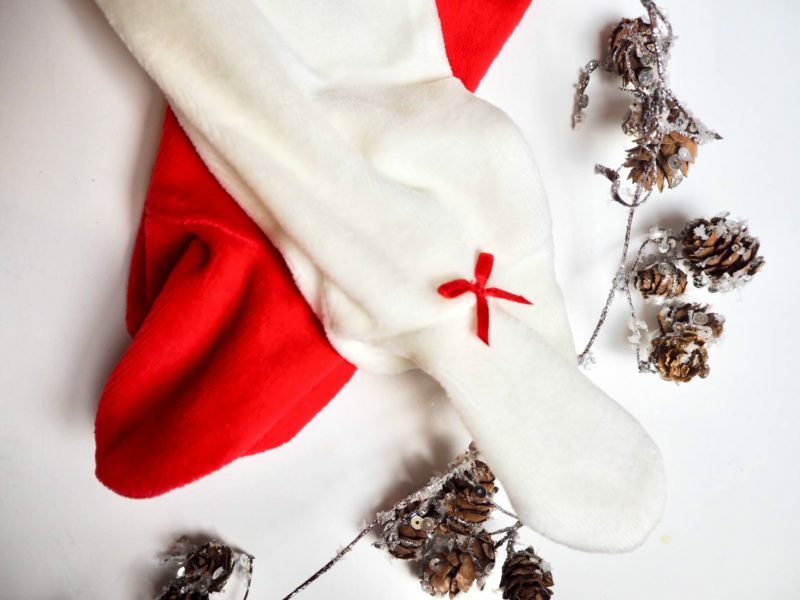 Dobell has one of the best online menswear collections, including a great novelty festive section! 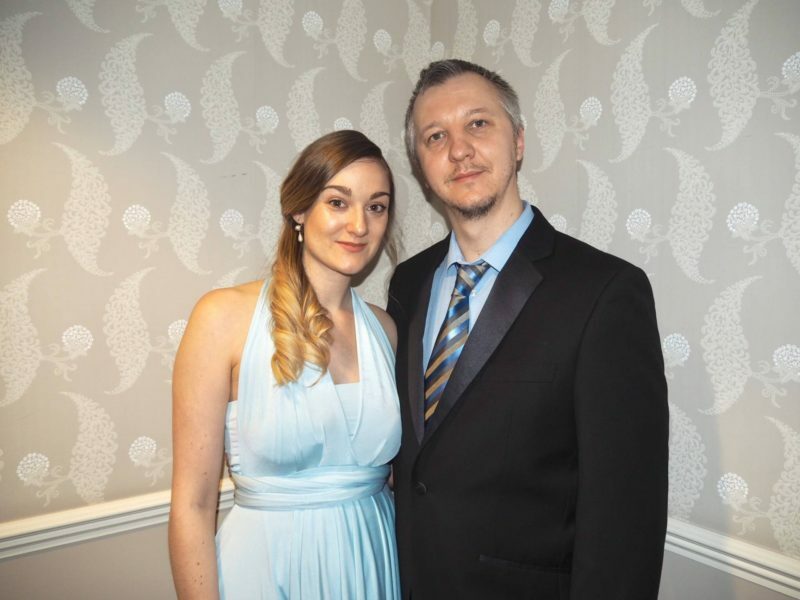 Paul and I matched the colour scheme of my friend’s winter wedding and the touch of blue in his suit went down a treat. 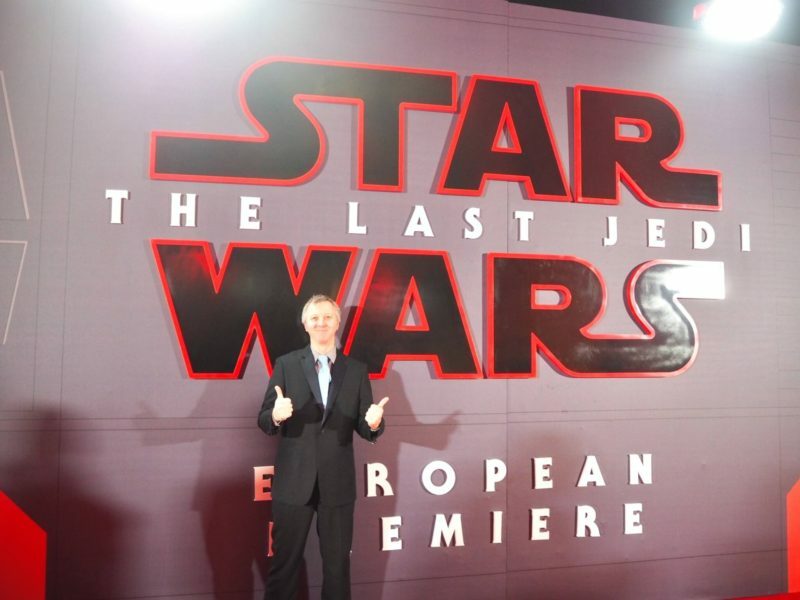 December also brought us another event, this time in the form of a Star Wars themed event. 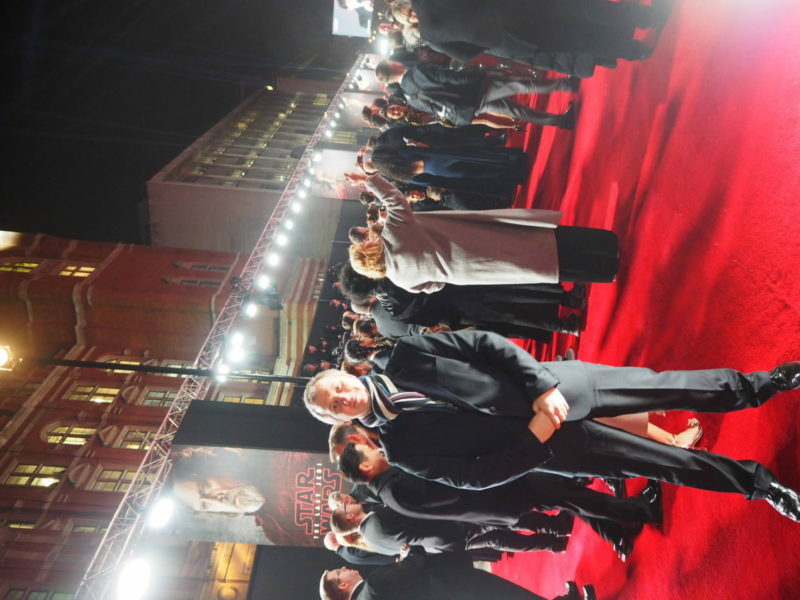 Paul scored a ticket to the European Premiere of Star Wars: The Last Jedi at the Royal Albert Hall. 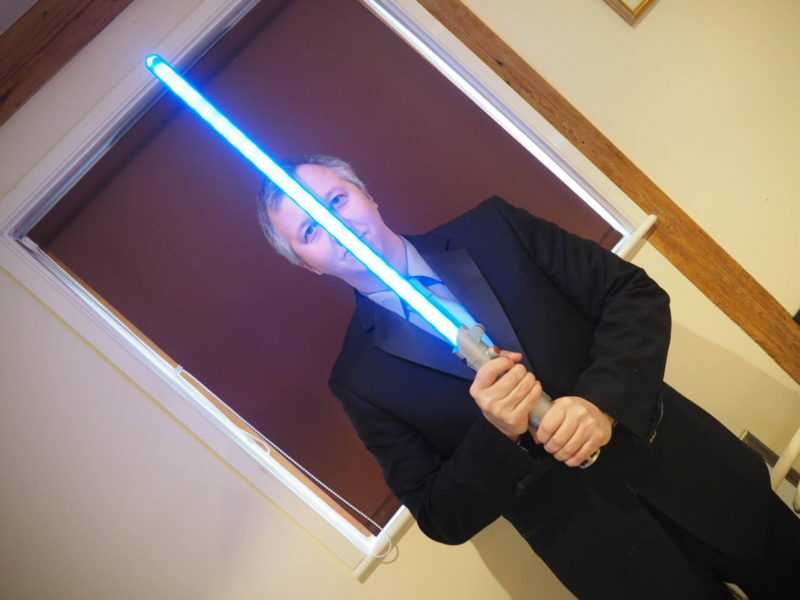 The Dobell suit was called upon along with the force to create some rather fun snaps before he headed off to the centre of London for the big night. 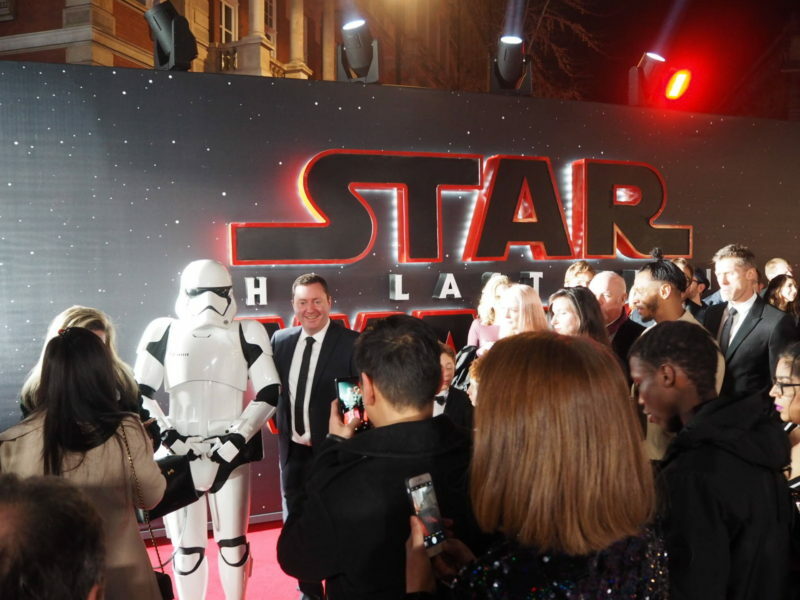 Storm Troopers and stars lined the red carpet, and so did Dobell! 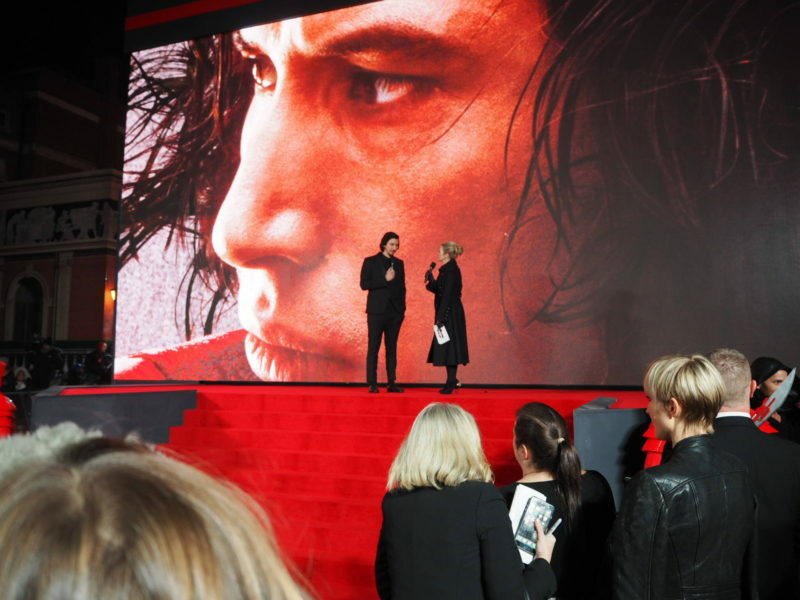 Adam Driver, who plays Kylo Ren, was being interviewed as Paul went in. He even managed to get an auto From Daisy Ridley too! Safe to say he definitely looked the part, creating some incredible moments featuring Dobell. I hope your year has been filled with incredible moments, and you are about to make many more this coming 2018 ? 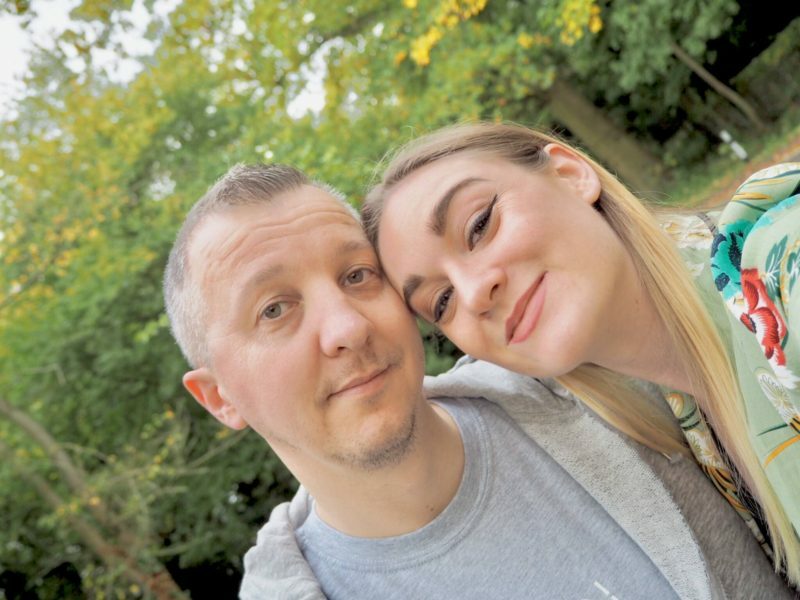 Head back to the home page for some more blogging! Dubai is the first choice on my 2018 destination wishlist. 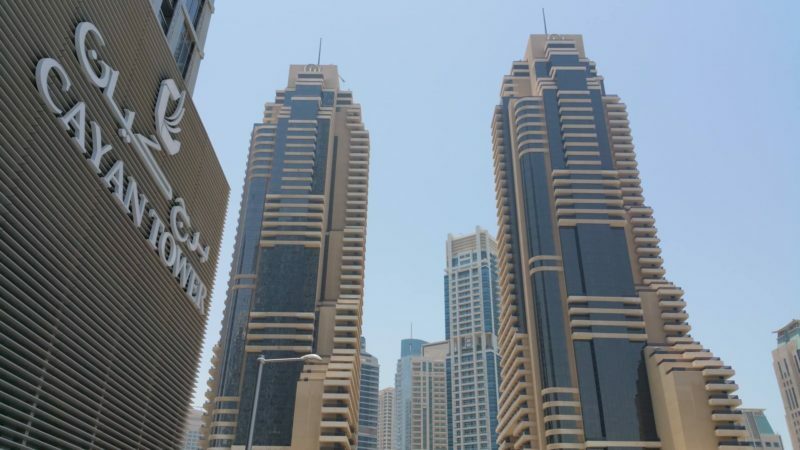 It’s a yearly tradition that Paul and I venture to the United Arab Emirates to visit our Godfamily and have a whistle stop tour of the beautiful Dubai city. I’ve picked out a killer deal if you decide to fly in May, and with Emirates Airlines you are bound to have a fabulous flight. If Dubai is a bit out of your price range, I’ve found a lovely escape right on the coast of the Black Sea- Golden Sands Bulgaria. If you’re on a budget, Golden Sands is ideal for a romantic getaway for two- leave your worries and troubles behind and explore what Bulgaria has to offer. 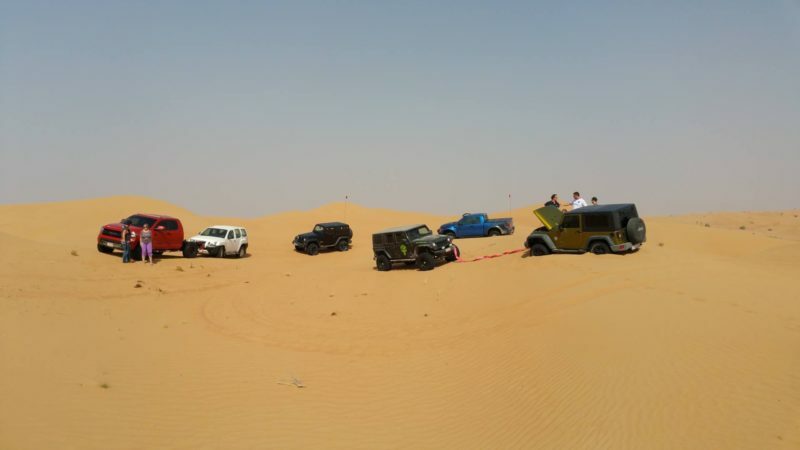 This last destination is sure to be a crowd pleaser. It’s on my 2018 destination wishlist because one, I speak Spanish and two, I am dying to expose Alice to some Spanish/ Catalan culture next year. I can just imagine her trying to chat away and I can’t wait to take her abroad. Having said that, I must get her passport sorted! Which destinations are on your wishlist for 2018? Check out all these places and more here via Holiday Gems! Sit back and get those last minute baby items for Christmas this year using my Baby’s Christmas Gift Guide! The time has come for a very special gift guide. 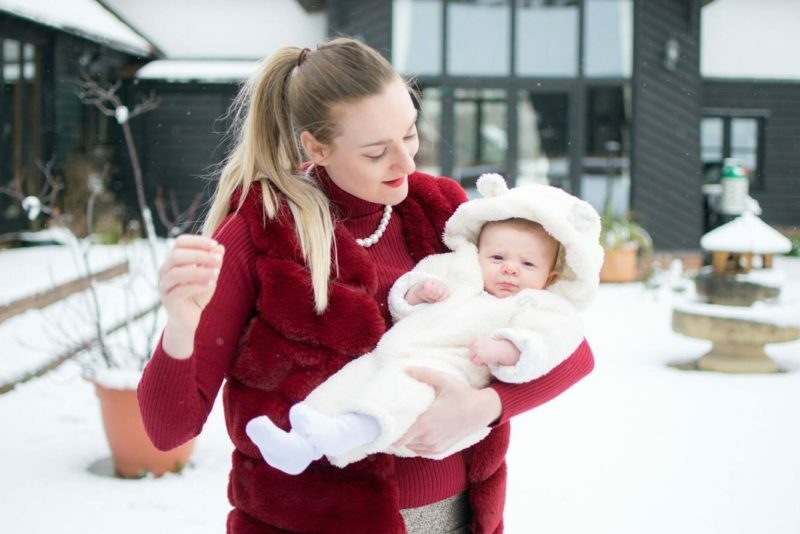 It’s filled with gorgeous products, all handpicked by me to give a proverbial helping hand to those of you who are a little bit stuck with what to buy for a baby this Christmas. It’s 2017, so throw away that Argos catalogue and get a bit more fancy while keeping the great price. I’ve sorted this baby’s Christmas gift guide into three sections- fashion, skincare and playtime so that you are covered from all angles. 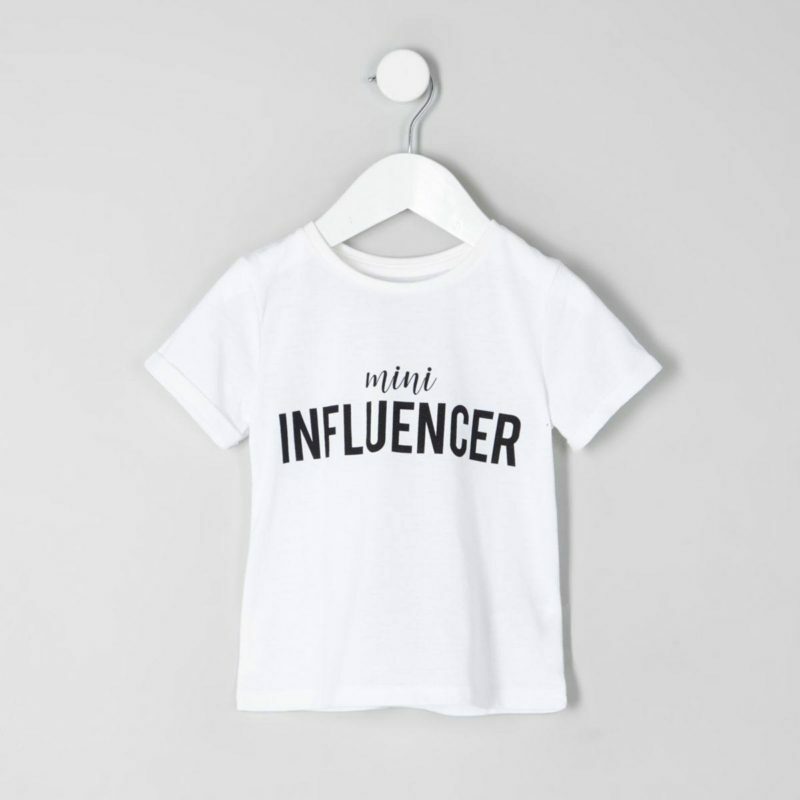 I was browsing the River Island site for ages looking at all the wonderful things. 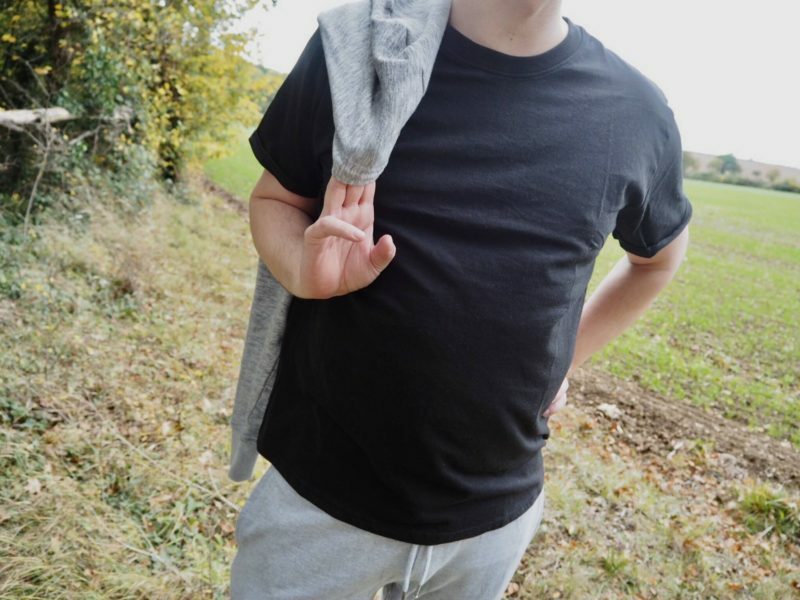 Of course these two picks are very suited to my monochrome baby theme but there are tonnes of vibrant and trendy pieces for baby boys and girls. I love how most of their items are virtually shrunk down adult clothes- there’s nothing I love more than dressing Alice how I imagine her style as she grows up into a young adult. M&Co have the most amazing Christmas collection this year. These onesies are great for any baby’s first Christmas. 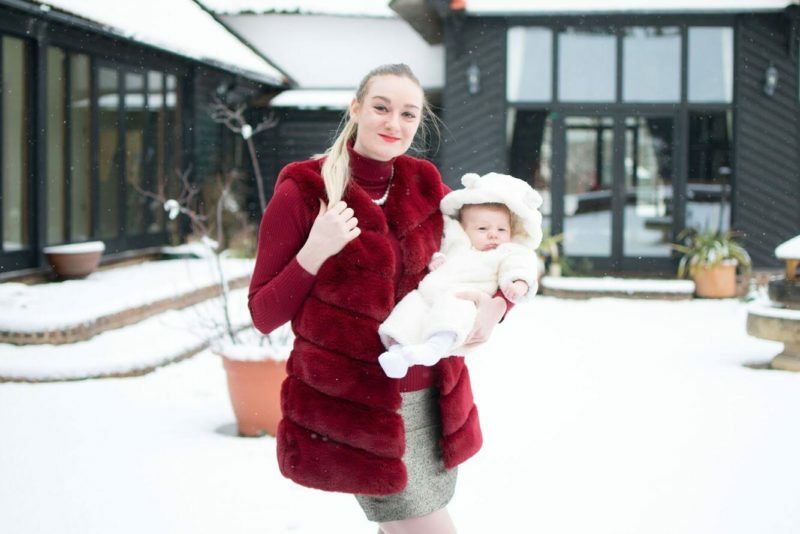 Not your average in your face baby clothes, this duo says Merry Christmas in a cute and cuddly way! 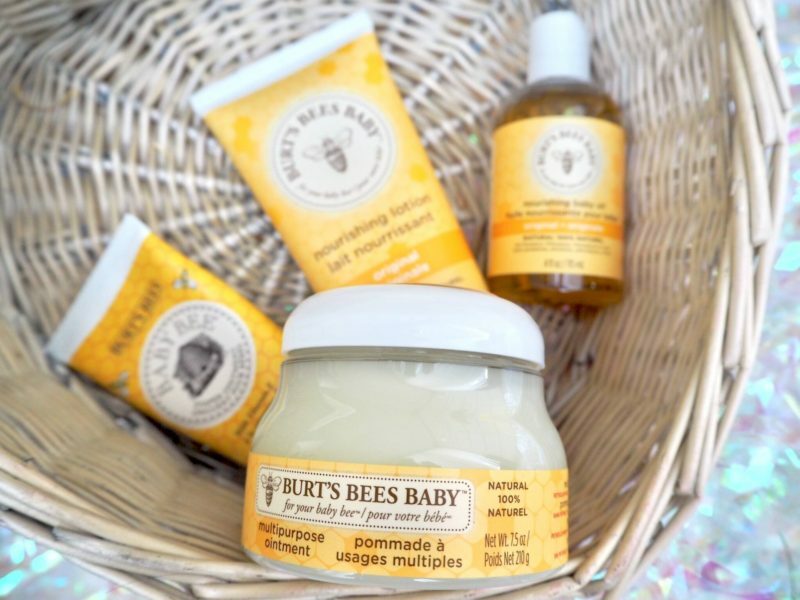 Burt’s Bees have a baby collection, and it’s brilliant! 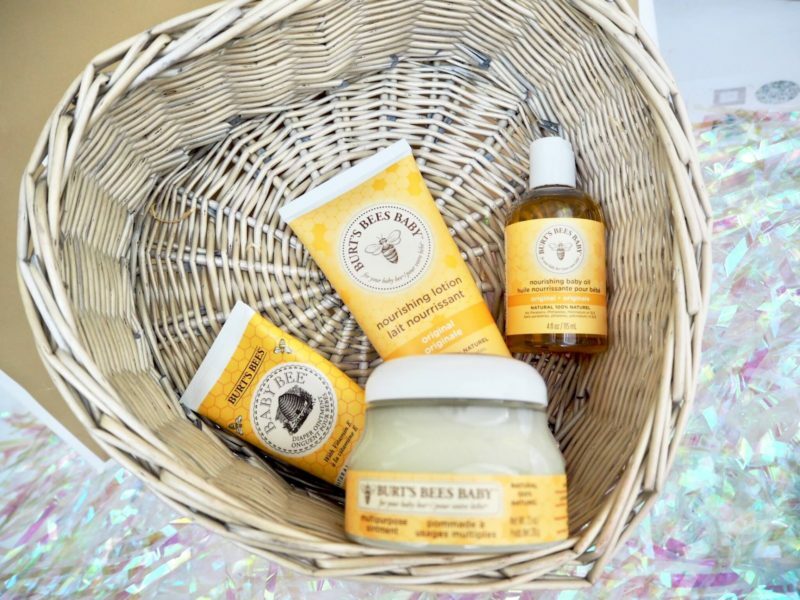 100% natural and the collection features oils, lotions and ointments just perfect for a little busy bee. Wrap up some Burt’s Bees gifts for an extra special baby this year. 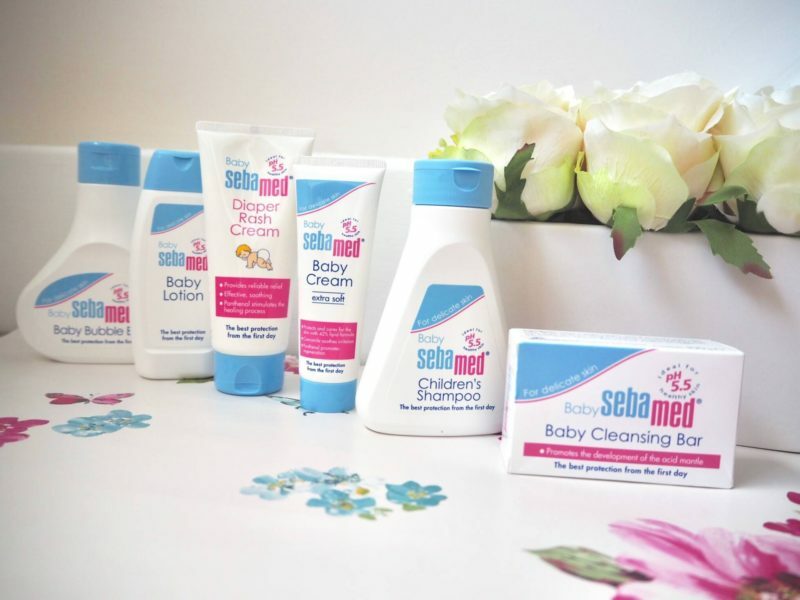 I’ve been using the Sebamed collection with Alice since day one so this comes highly recommended. The diaper rash cream works wonders, as does the shampoo and bubble bath when it’s wash time. 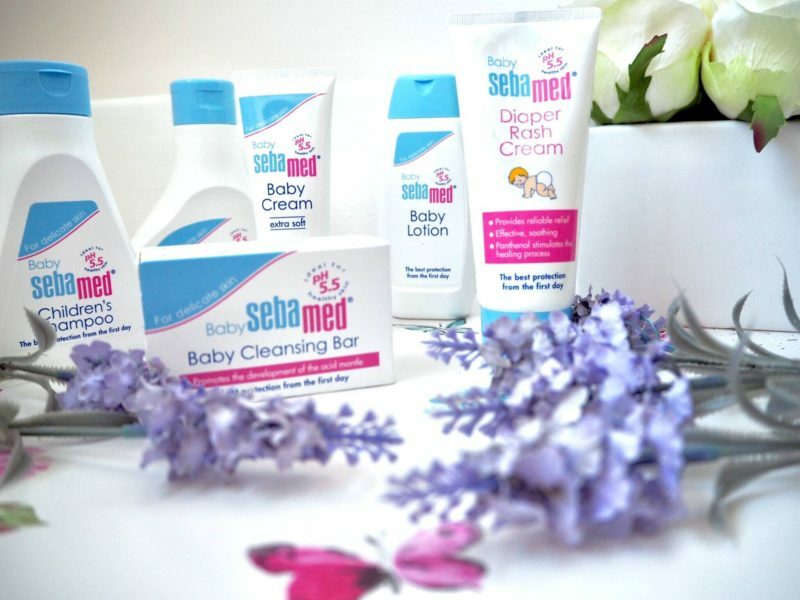 Delicately fragrant and beautifully designed, Sebamed products are a top choice on my baby’s Christmas gift guide this Christmas. 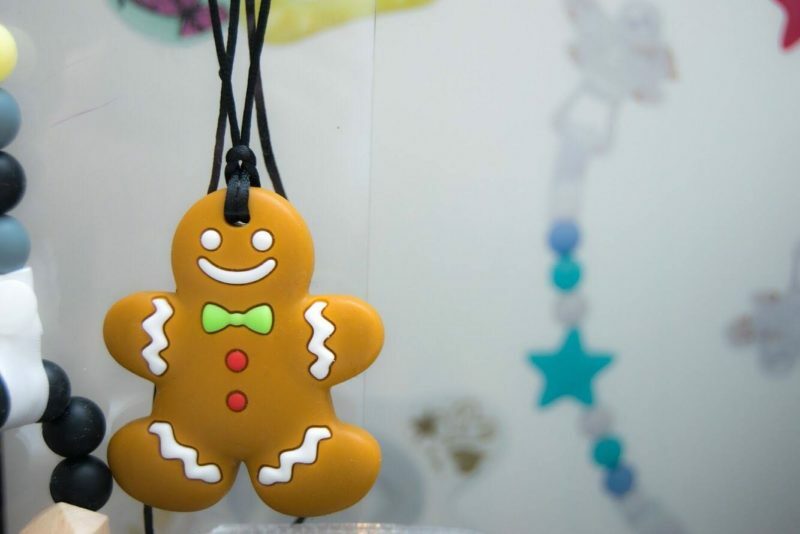 I recently visited Nibbling at Westfield White City during their pop up Christmas shop. 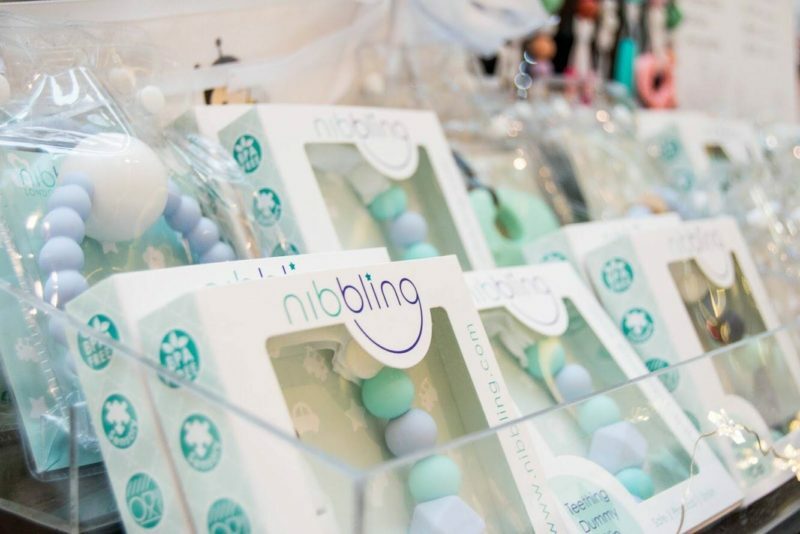 I was blown away by all the beautiful designs for teething babies- including jewellery for mummy! Baby will be so happy chomping away and you will be too knowing that they are safe to play with these mesmerising gifts. 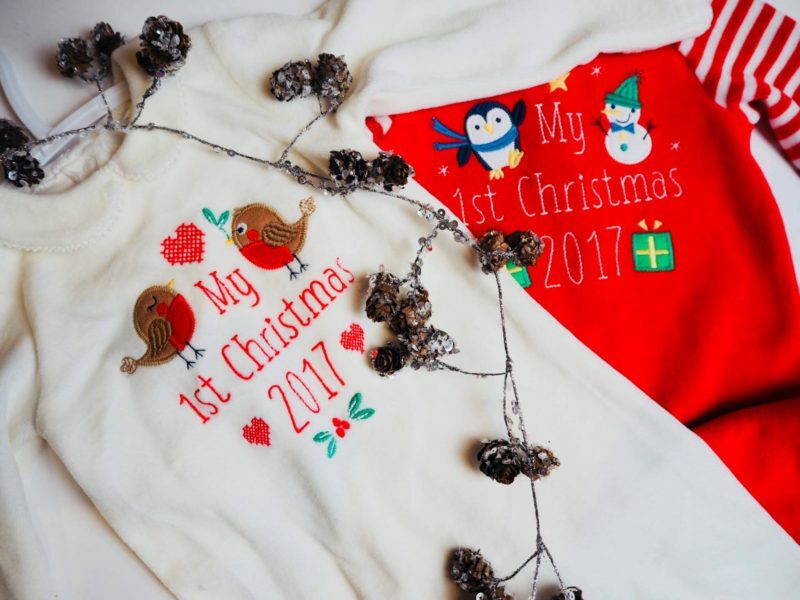 JD Williams has a whole host of adorable things just perfect for baby’s first Christmas. 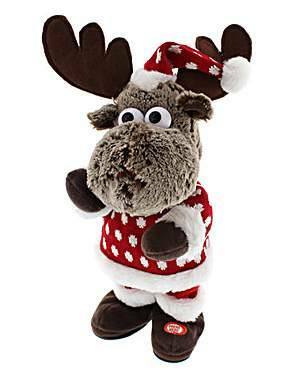 Let them be entertained by this cute and cuddly dancing reindeer! 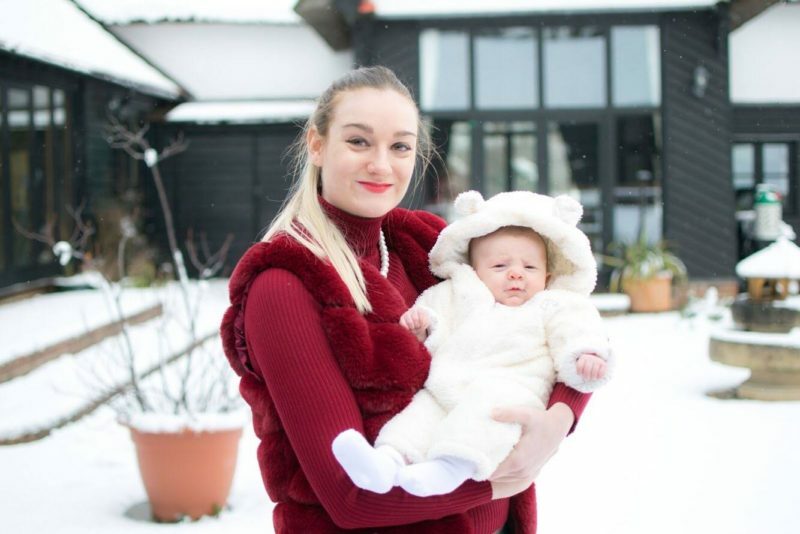 Let me know if you are looking for anything in particular for a baby’s first Christmas, I’ll be happy to chat over on my Twitter page to give you some more recommendations! This week we have seen a huge amount of Christmas spirit with the big event right around the corner. One bottle of mulled wine gone, bank balance a little shorter due to inappropriate cheese purchases and of course all the snow! I am not a fan of snow normally, it means icy roads and slushy mess on the ground, but this week I got excited. I’m finding the love in the first good snowfall of the year all because of Alice. 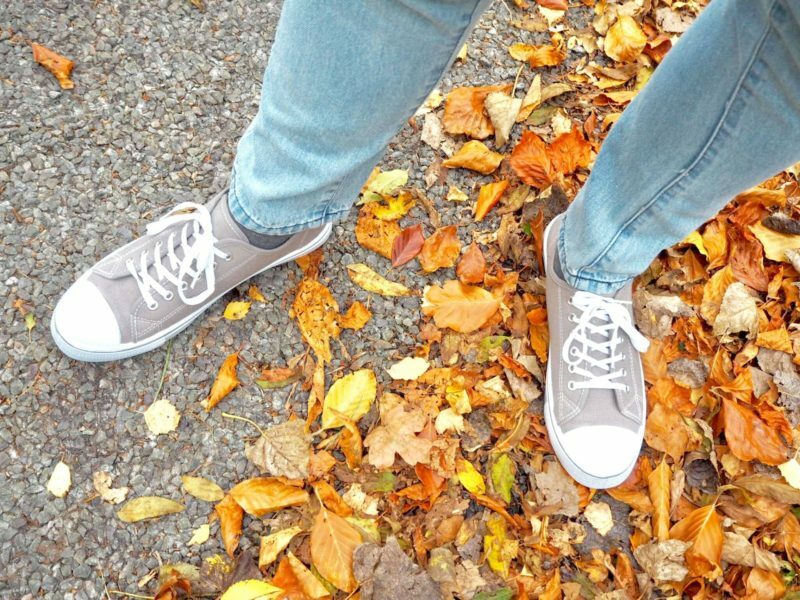 Here is a little bit about what happened during Alice’s first snowfall and Cari’s Closet. 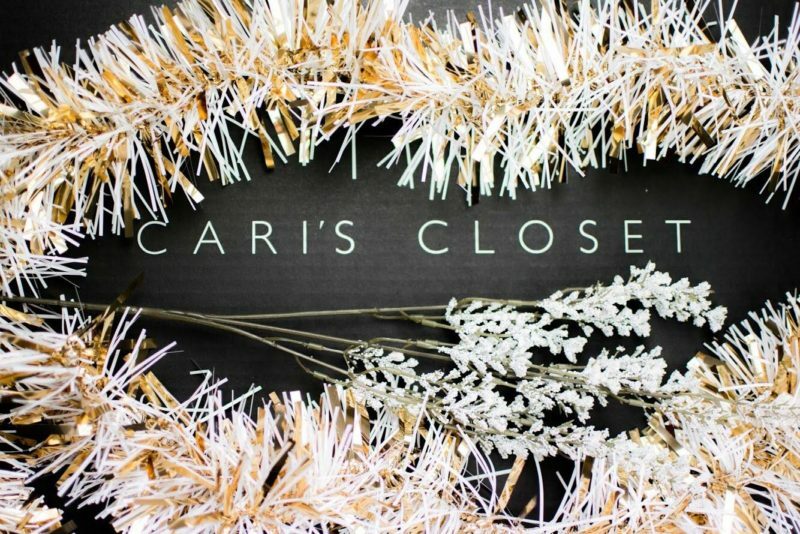 Cari’s Closet is an Irish born brand with stores based in Malahide Co. Dublin, Cork City and Galway City. Its new website rivals all the best ones out there in my opinion. 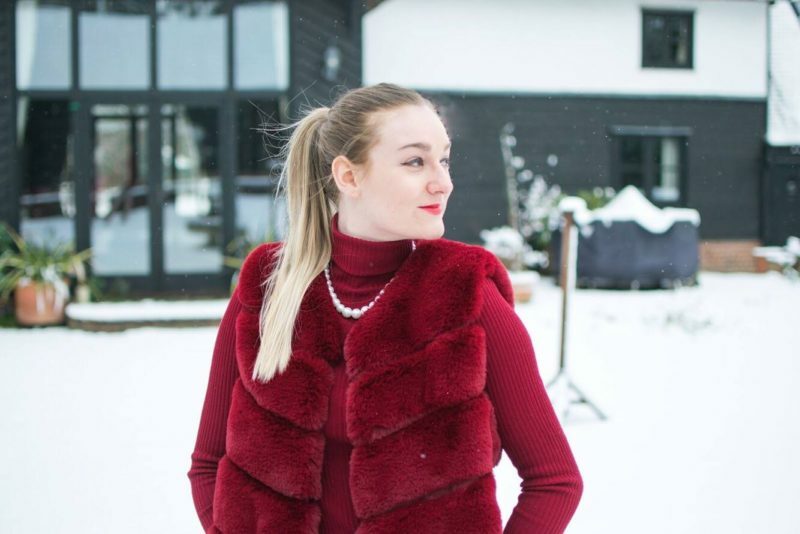 A recent discovery, but this is a place to be for fashionistas and for finding that all important New Year outfit. I decided to get dressed for the occasion after peeking out the window to discover a blanket of fluffy white wonder. 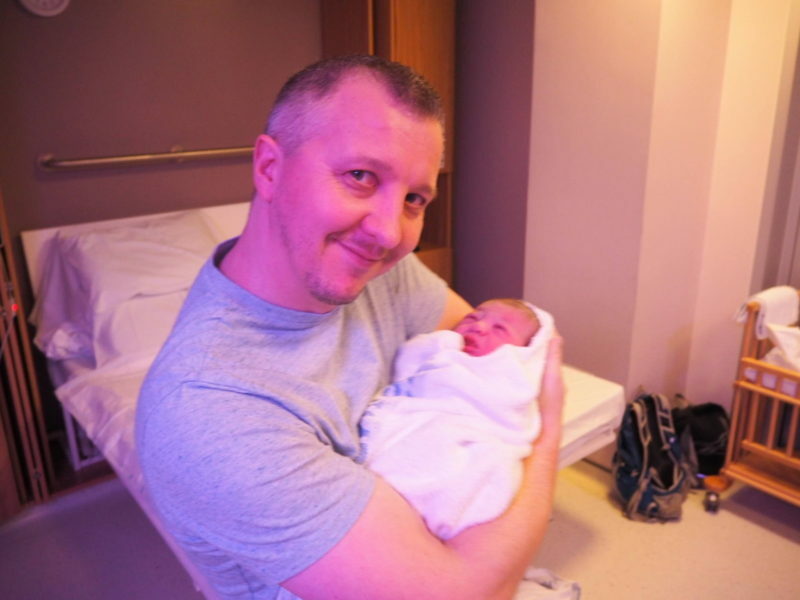 Alice was still asleep at this point, so I got myself all dressed and ready while she was sleeping. 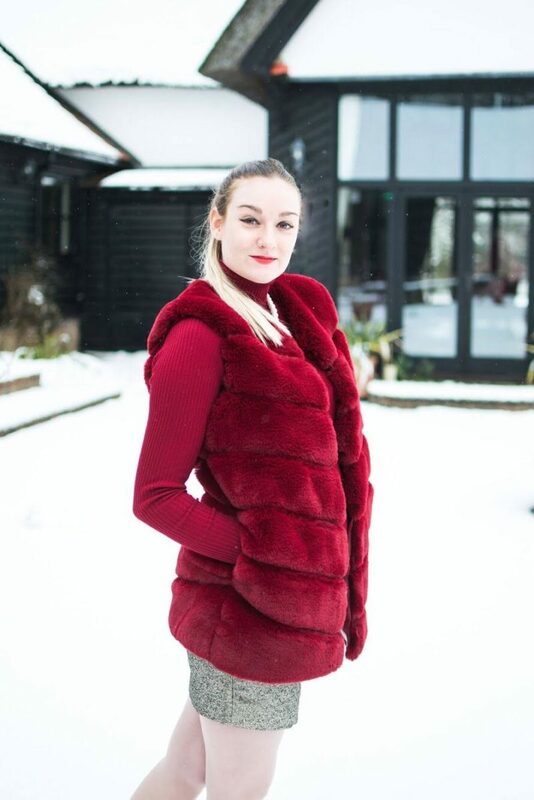 I pepared to brave the cold in a red poloneck from Zara and put on my matching faux fur gilet* from Cari’s Closet. I put Alice in her fluffiest snowsuit and we were ready! She was so curious about the bright white snowfall, she found it hard to focus on just one spot. I kept her hood nice and high as the snow was still coming down. 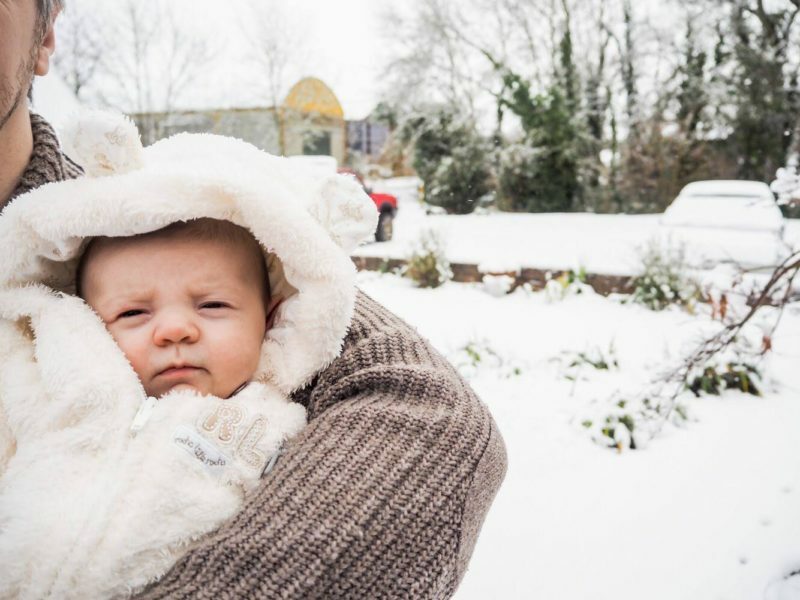 We just about managed to get a lovely photoshoot in before we took her back inside into the warmth. Then it was time to do a few by myself! Thanks to daddy for all the amazing shots! 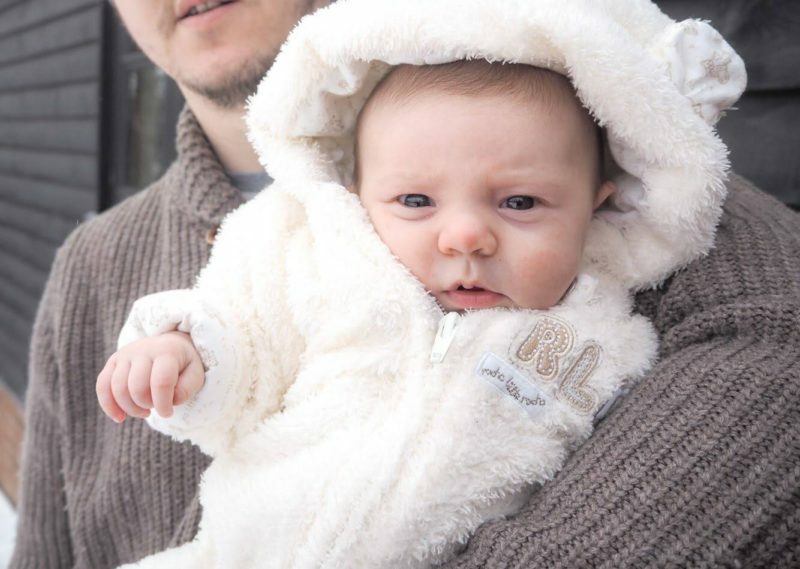 Thanks for enjoining Alice’s first snowfall and Cari’s Closet. 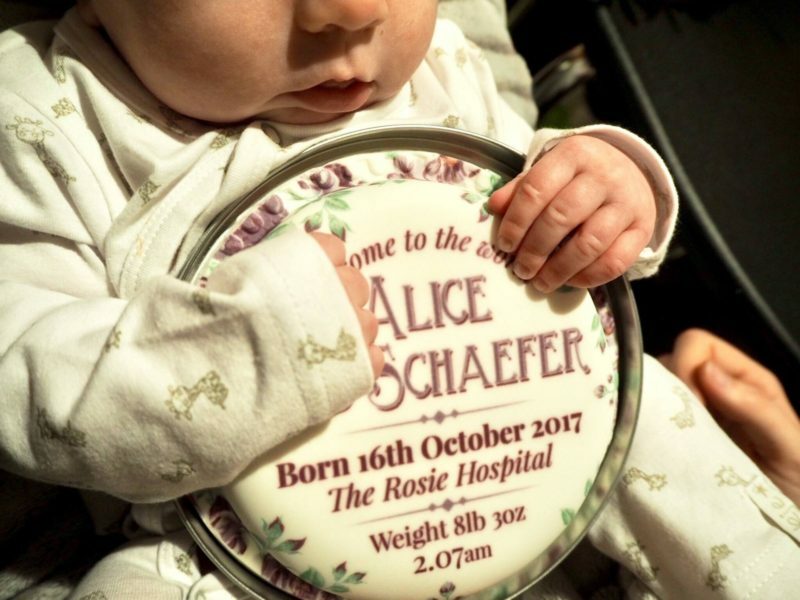 For more baby cuteness, check out my post all about Alice’s personalised cake from Bakerdays. Today marks Alice’s eight week milestone! I really cannot believe how we are almost at the two month mark. 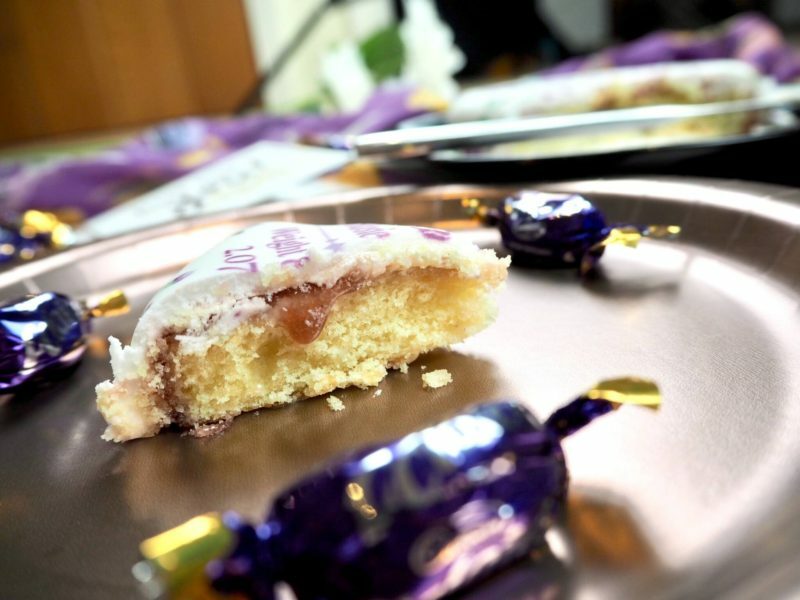 She has come such a long way since the 16th October and what better way to celebrate her being here than cake! 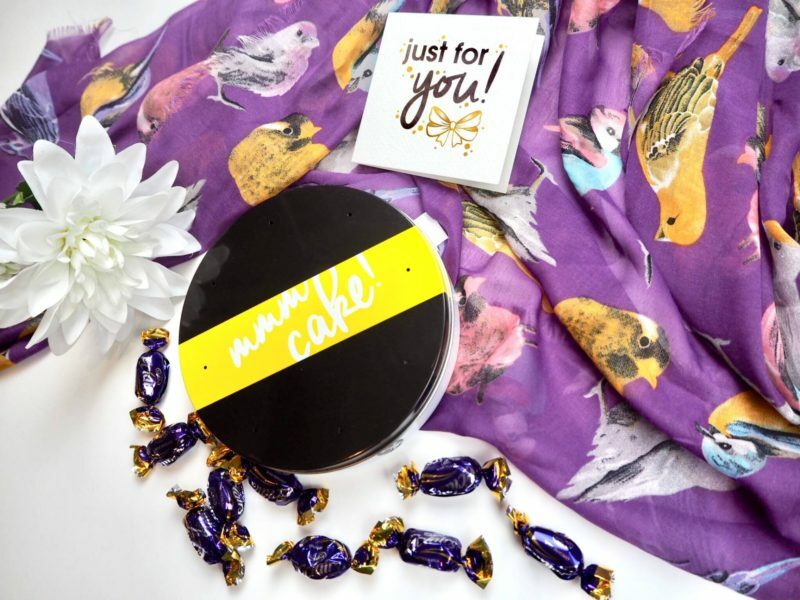 I’ve teamed up a remarkable and innovative online service who have helped by creating a fabulous, personalised letterbox cake. 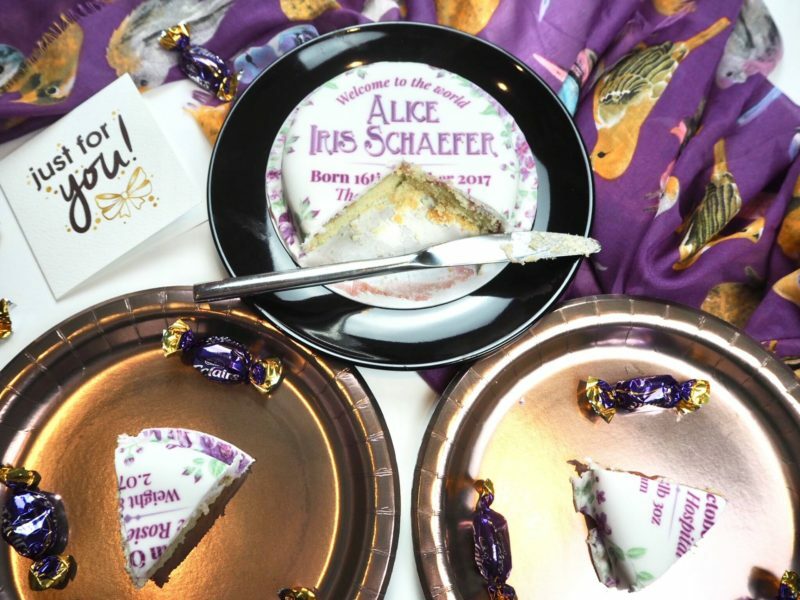 Make sure you keep on reading to enter my competition to win your very own personalised cake! 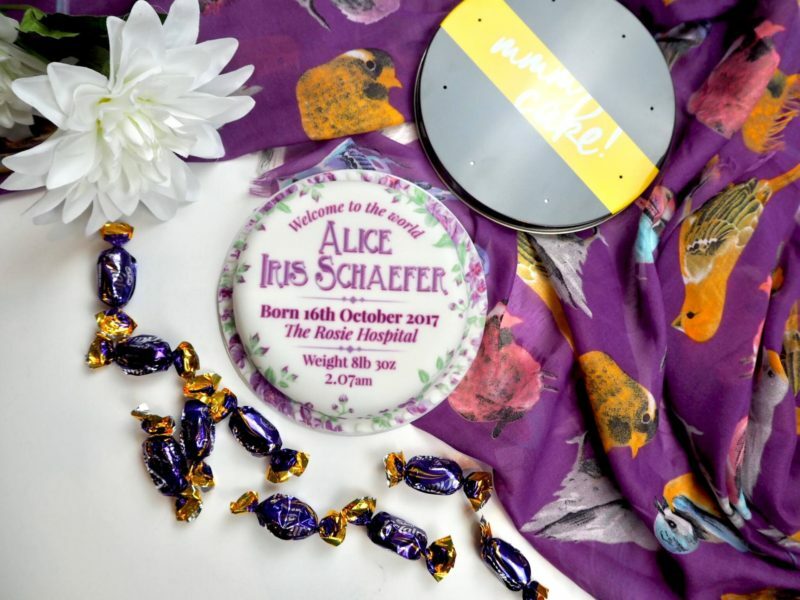 We are welcoming Alice to the world with Bakerdays today, and you can celebrate with us! 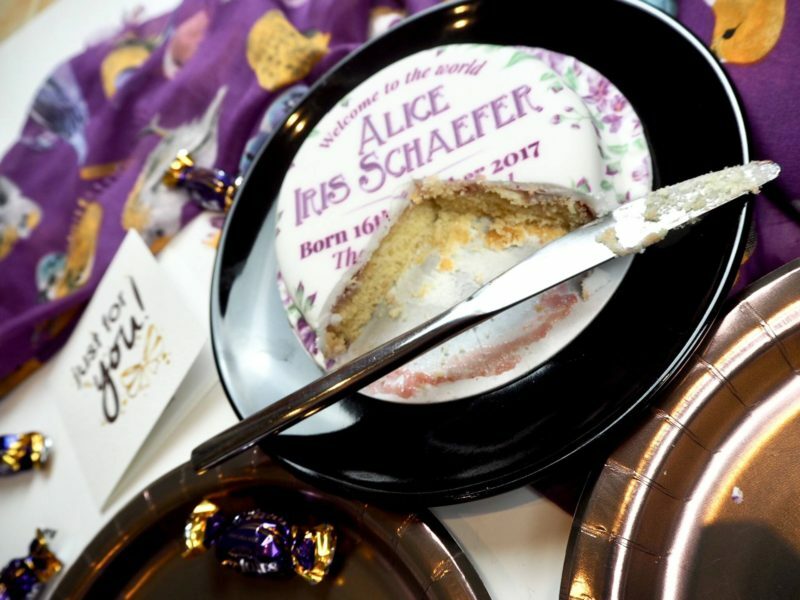 Alice’s letterbox cake is quite literally a cake that can fit through your letterbox. 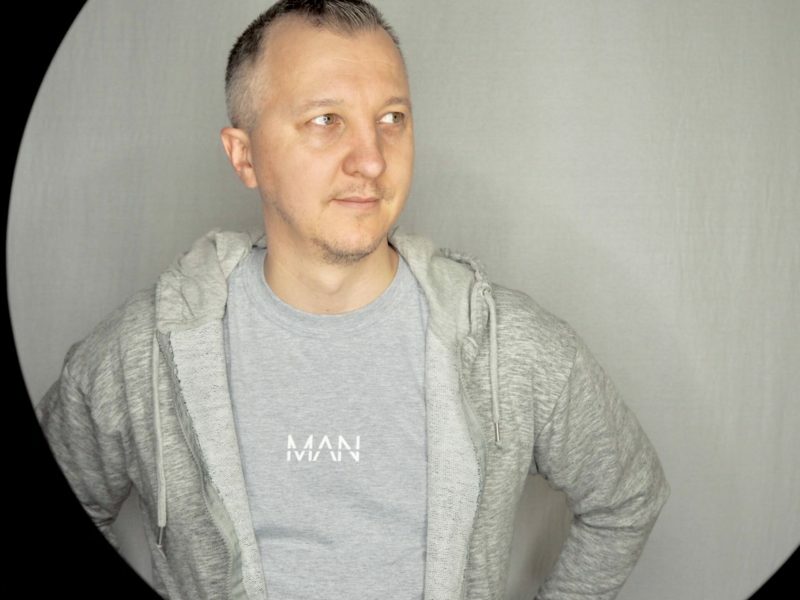 It is perfectly designed by experts, so all I had to do was choose the text and a rough design scheme. I was so blown away by the final design and finish- it was such a shame to cut into it! Alice loved it too, of course she didn’t actually eat any but she was certainly interested and wanted a hold! 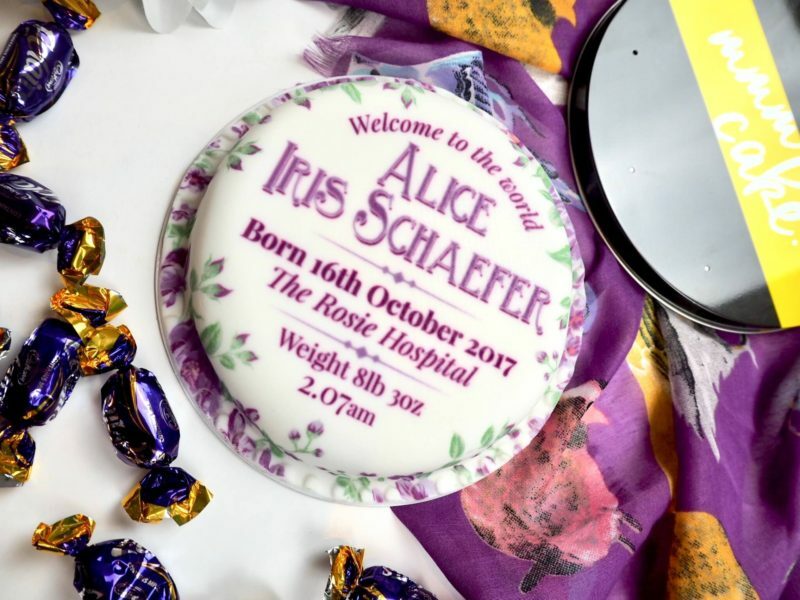 The cake was ordered gluten free and had all her birth details on it. The colour scheme was her favourite colour- purple! 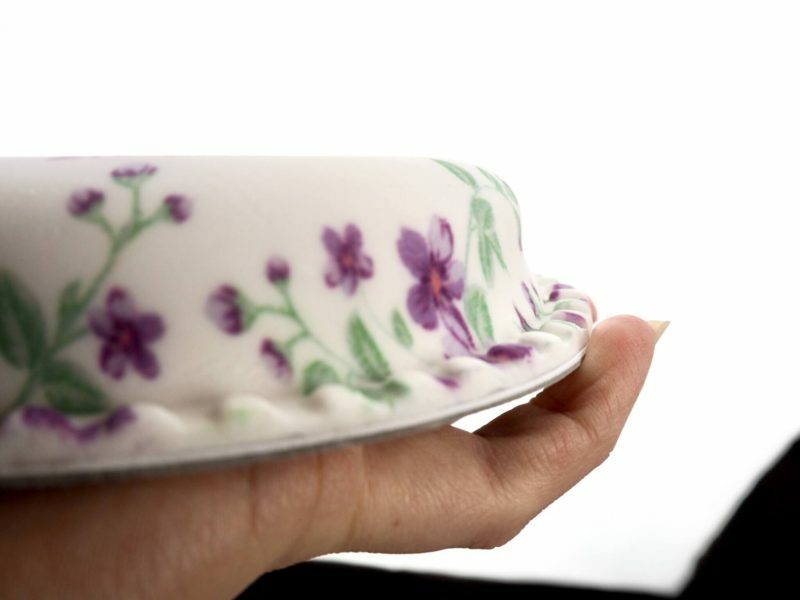 There are so many options for the filling and sponge- just take a look online! 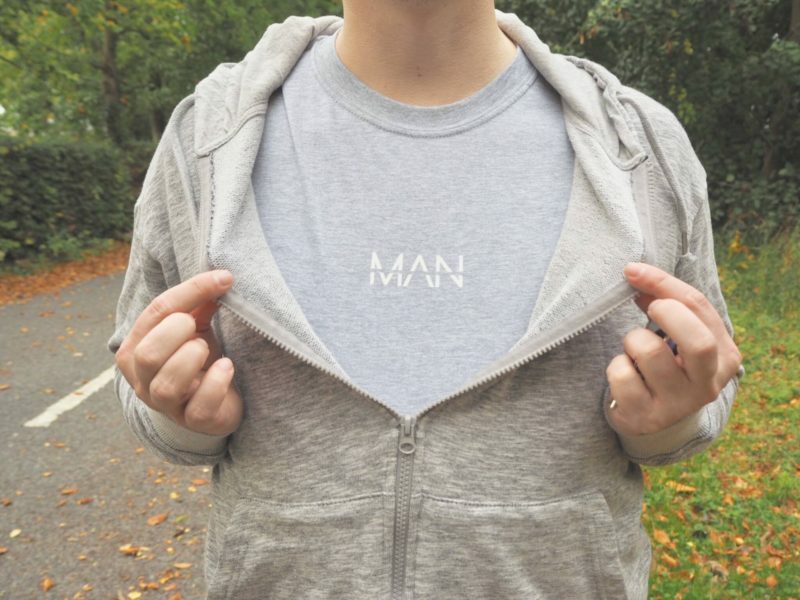 There are loads of ready to order designs to choose from if you don’t want to make one up from scratch. 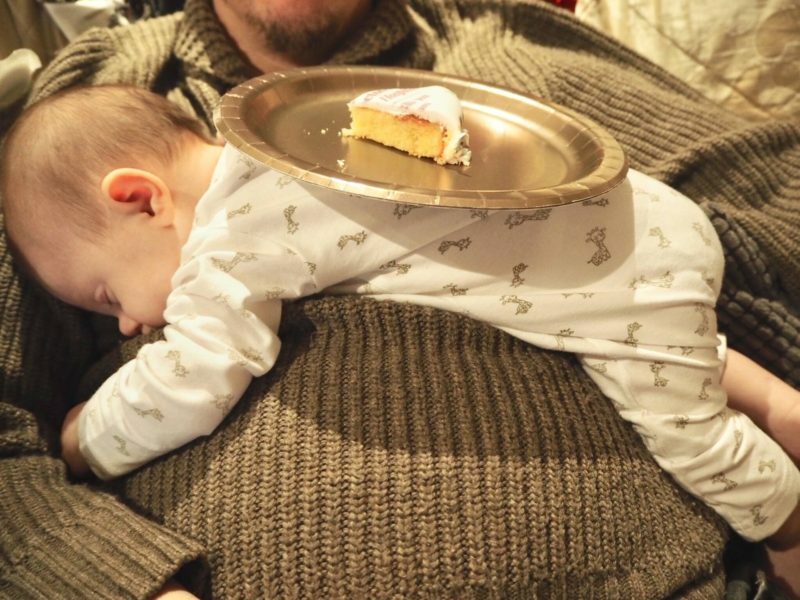 Alice was fully pooped after all the excitement, so all that was left to do was eat the yummy cake! So my friends, would you like your very own personalised letterbox cake? Enter on Twitter by retweeting the competition tweet and enter on Facebook by sharing the competition post. To gain an extra early entry, all you have to do is COMMENT BELOW! Competition ends 7pm on Tuesday 12th December, winner will be chosen at random by all valid entries. UK only.